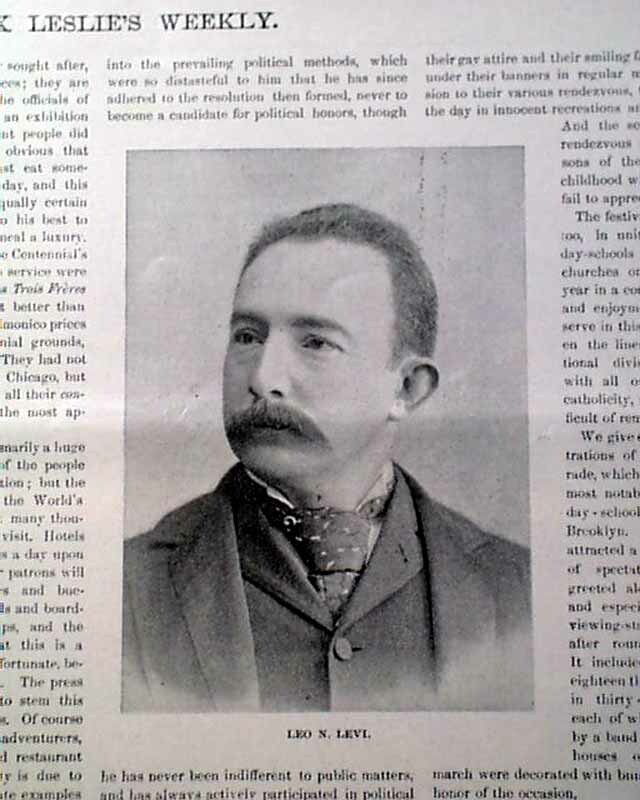 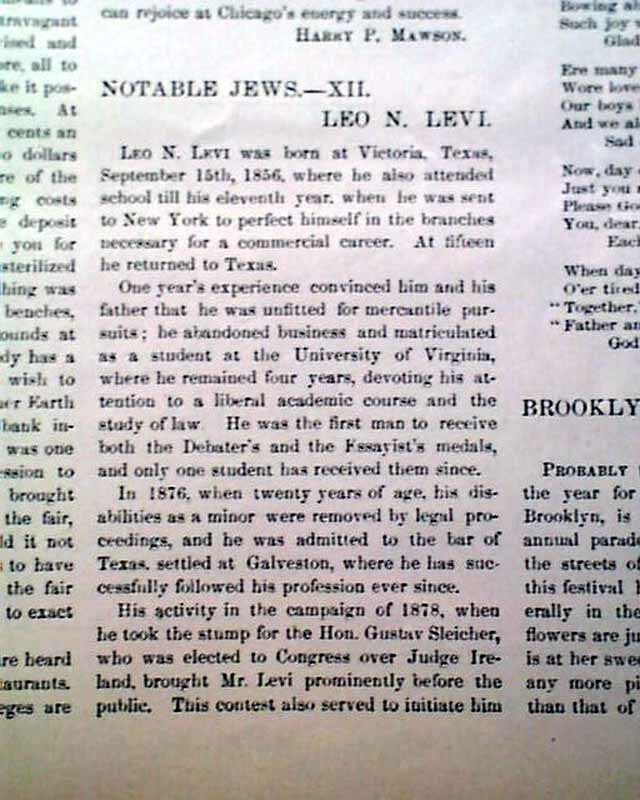 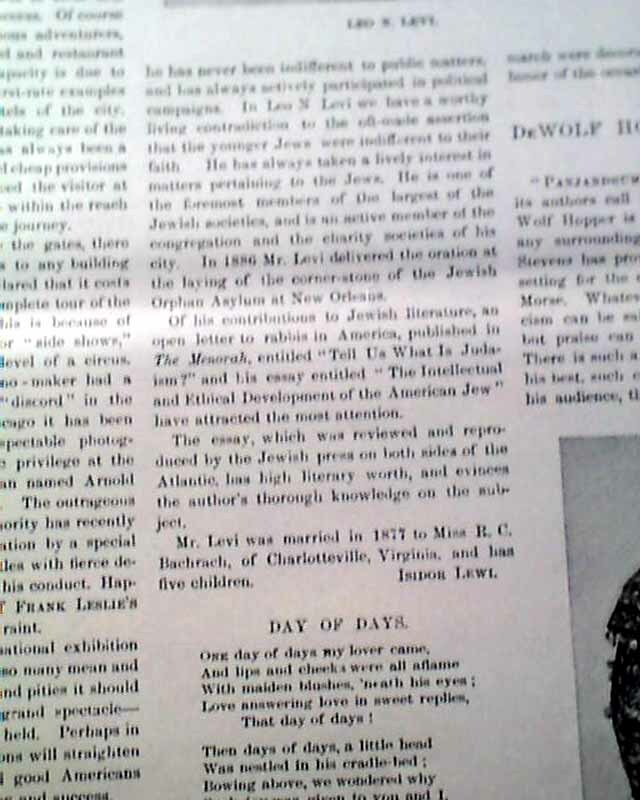 FRANK LESLIE'S ILLUSTRATED, June 22, 1893 Of special interest is item #11 of "Notable Jews - Leo N. Levi" which also includes a photograph & biography of him. 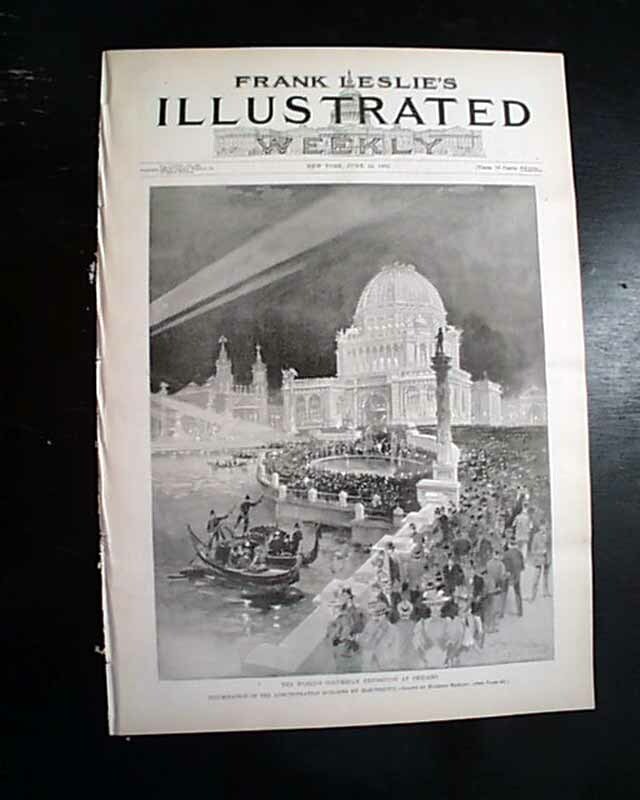 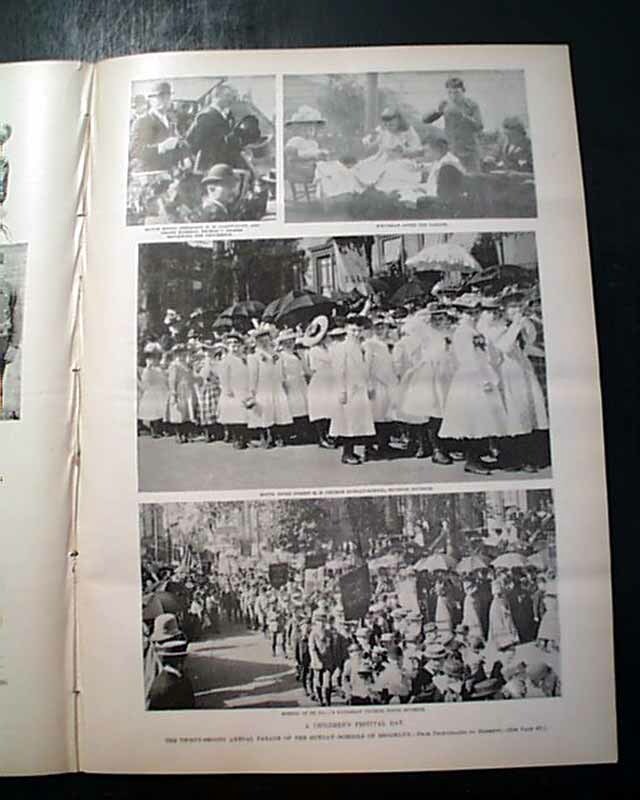 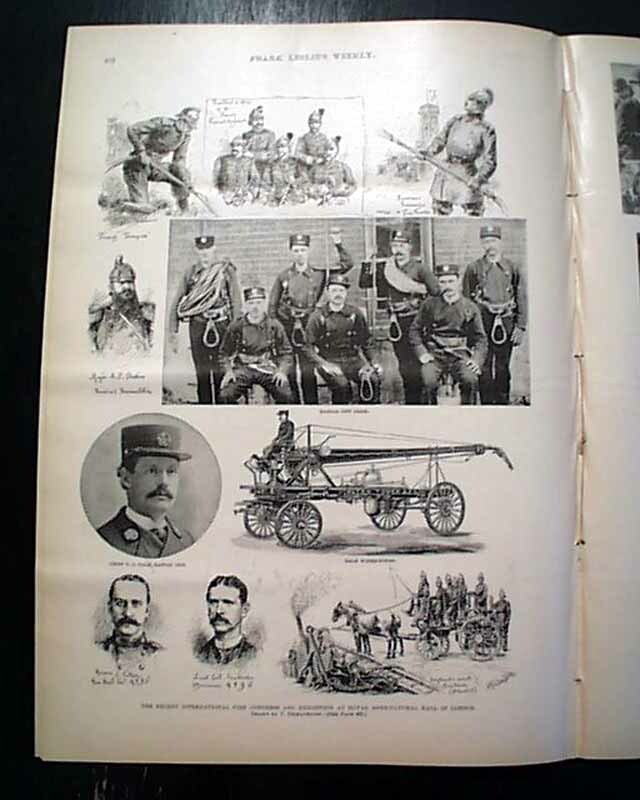 Among many other prints & photos is a full front page print of: "The World's Columbian Exposition at Chicago", a full page of prints concerning fire fighting; full pg. 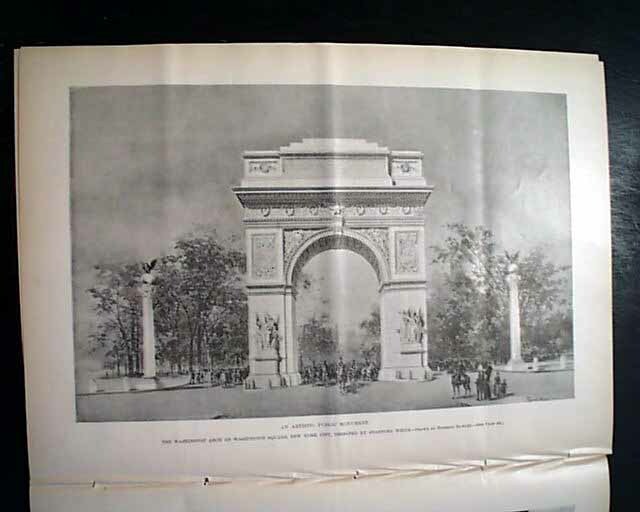 print of the iconic "Washington Arch" at Washington Square, New York; and more.